Breeze block - a relic from the past. 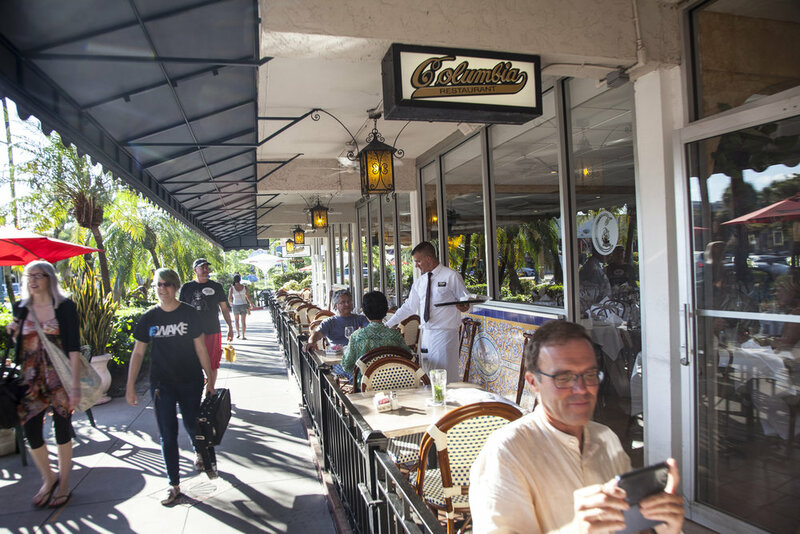 Columbia - famous Cuban restaurant. 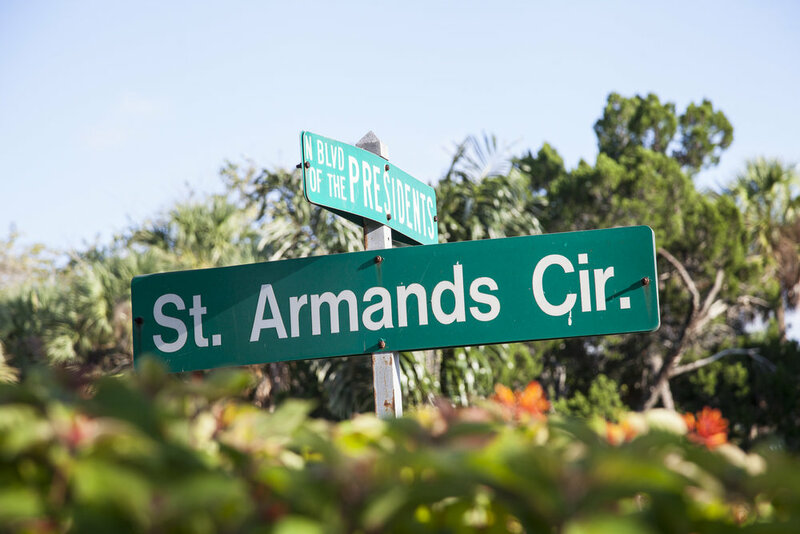 St. Armand's is a lively area just a few minutes walk away from Lido Beach House. Historically interesting as a development by the circus magnate John Ringling, accessed only by boat until he financed the building of our beautiful Ringling Bridge. It's a large roundabout that surrounds a park space and is adorned by elegant white Renaissance statues. There are lots of cute stores for everyone and many popular restaurants. It's great to be able to take our bikes or walk to eat at night and then come back the beach way.